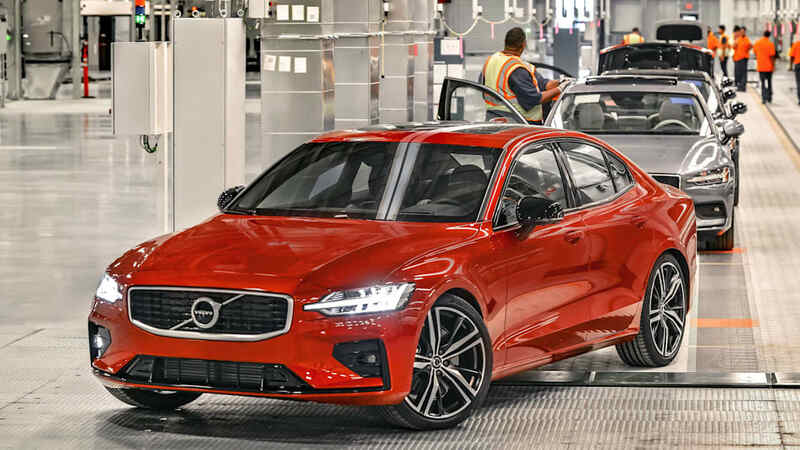 On June 20, Volvo Cars CEO Hakan Samuelsson stepped up onto a platform in a building in the carmaker's factory in Ridgeville, S.C. Pacing in front of a 2019 Volvo S60 built there, he ended his comments by saying, "I will officially declare the Ridgeville plant open for business." With that, Volvo commences its second attempt at a stronghold in the New World. The company owned a plant in Halifax, Canada, from 1963 to 1998, but that was a final assembly plant, building just 8,000 units per year, mostly for Canada. There are parallel rationales for that earlier facility and the one in South Carolina. 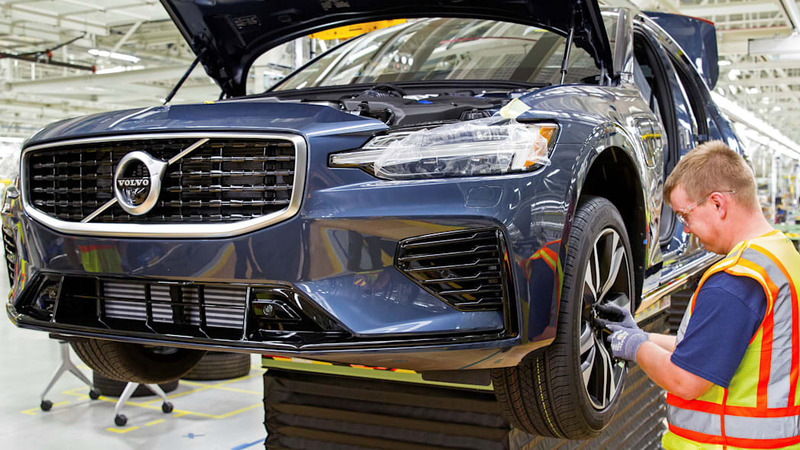 The carmaker built the Canada plant to escape U.S. tariffs, and when Volvo shuttered it in 1998, the Swedes said it didn't fit with "a global industrial structure matching [Volvo Car Company's] future product and marketing strategy." 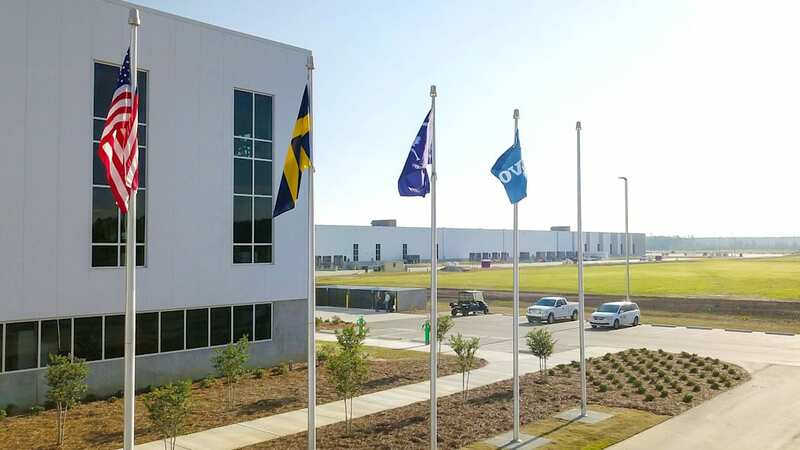 Tariffs loomed over last week's South Carolina factory inauguration, and Volvo execs throughout the day stressed how the fifth and newest outpost in the Volvo Cars Manufacturing System (VCMS) made Volvo a truly global manufacturer. Unlike the manufacturing plants in Sweden, Belgium and China, the Ridgeville plant is the only one with an alligator or two on the premises, and a sign cautioning against feeding them. Welcome to the South. 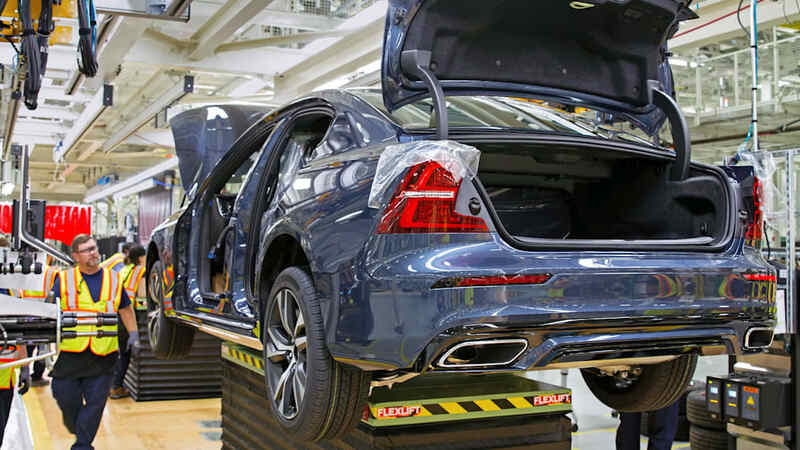 On Sept. 1, the first 2019 S60 — Job One — will roll down the line. 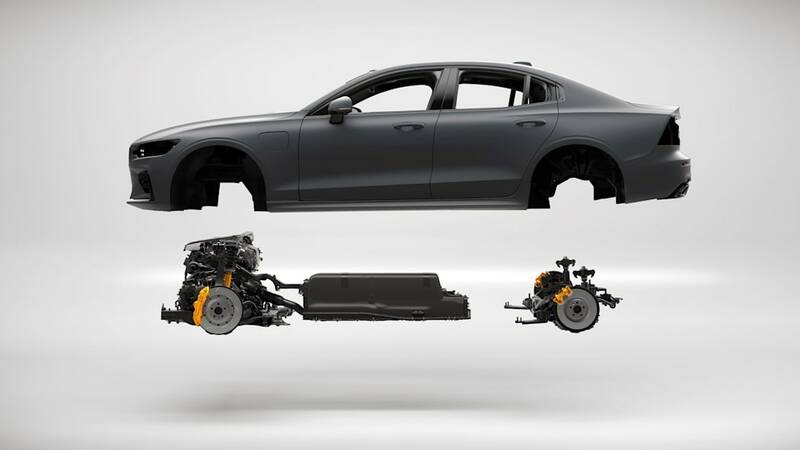 Engines and gearboxes come from Sweden, but about 50 percent of the value of the S60 comes from local suppliers. 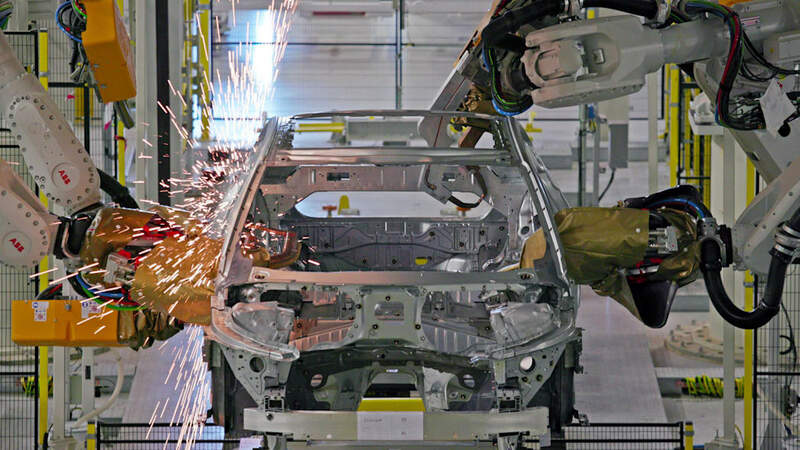 Roughly 60,000 sedans will leave the plant annually, about half for domestic consumption, half for export. It's arguable that the psychological impact of the factory means more than the physical buildings. This is about sending a $1.1 billion message to competitors, dealers and U.S. buyers. 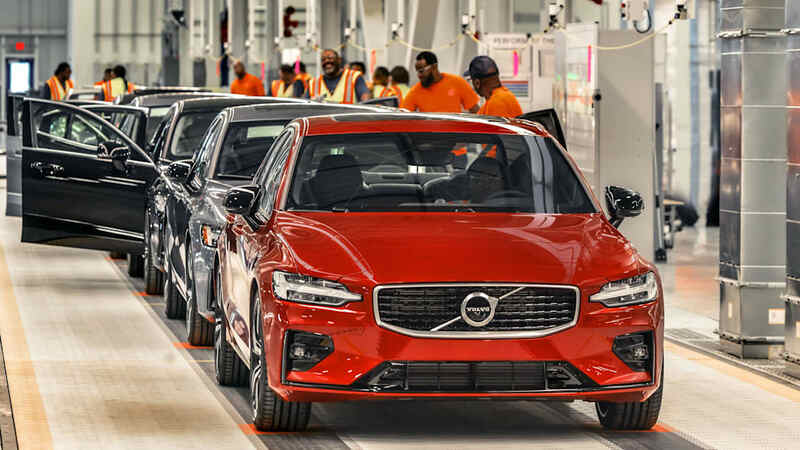 Samuelsson said that Ridgeville lays the foundation for growth, but Lex Kerssemakers, president and CEO of Volvo USA, put the exclamation point on that in saying, "We regard the United States of America as our new home market." Even if we shouldn't take that literally, we don't know another foreign automaker here to have made such a statement. 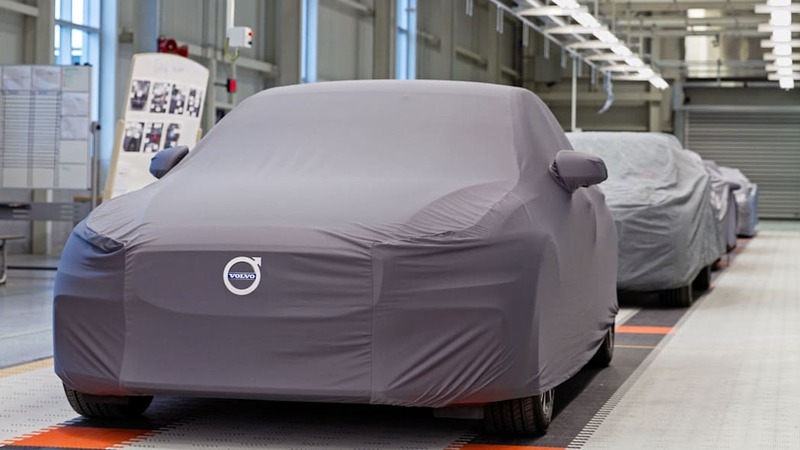 The investment gives Volvo more production capacity than it currently needs, "enough to be able to deliver the cars we plan to sell here in five years' time," according to Samuelsson. When we asked how many cars that was, he responded, "[We] are building around 600K cars, and if we continue growing like we have been growing in the last five years, we could very well need a doubling of that volume." Volvo sold — not built — 571,577 vehicles globally in 2017, a 7 percent rise over 2016. To double volume in five years means 15 percent growth every year for the next five years. A massive target, but Kerssemakers said U.S. sales so far this year are up 41 percent. Global sales rose 14.1 percent through the end of Q1 this year. Volvo knows it needs heavy dealer buy-in for that goal. Samuelsson said sinking $1.1 billion into a field in South Carolina conveys to its dealers "credibility, and commitments to the market." Now the automaker expects to see returns on the dealership floor. "We are ready to invest in this company and in this market, so we expect you also to invest in your dealerships," he said. 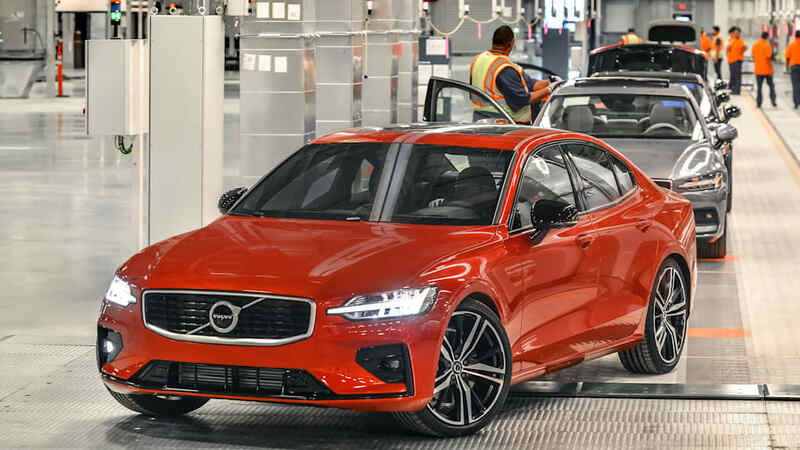 Several execs explained that the primary benefit of the factory isn't about touting locally made products; Volvo buyers, and premium import buyers in general, aren't concerned about that. What matters is proximity to the new home market. 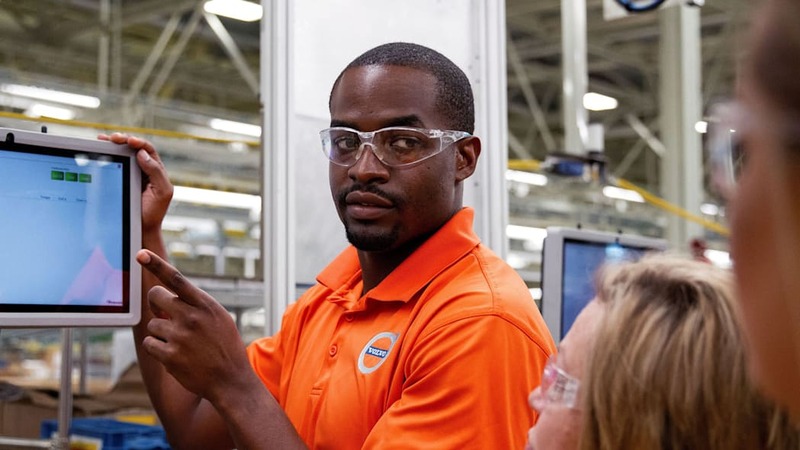 Samuelsson said, "To be able to build the right cars for the U.S. consumer you need to be local," adding, "You cannot sit in Gothenburg and guess what guys in South Carolina really want to have for colors or trim lines and so on. You have to be here ... to know the people, to be able to build the right cars." If local responsiveness is a main advantage, why start with a dying sedan body style instead of the XC90, which sells double or triple the number of S60s? On top of having made the S60 decision four years ago, Samuelsson said, "You build it where you have the highest volume, and it's a more popular body style [here] than in Europe." We'll wait for 2019 S60 sales numbers to bear that out. Through the end of April, European S60 sales outstripped U.S. sales by 18 percent. Headlines stole the day, rumblings of tariffs and trade wars breaking into the open from the first speech. Ex-South Carolina Gov. Nikki Haley sat in the front row of the audience; as governor, Haley negotiated with Volvo to secure the factory for the state. Now U.S. ambassador to the United Nations, it was clear that speakers believed she might convey messages all the way to 1600 Pennsylvania Ave.
Samuelsson's single line, "This is an investment into an open, fair-trade system," turned into a policy-persuasive speech when the Swedish ambassador to the United States, Karin Olofsdotter, took the stage. Olofsdotter's remarks detoured to 1638, surveying the history of Swedish-U.S. commercial relations, and included stats on how many Americans now work directly and indirectly for Swedish companies here (365,000 and 1 million, respectively). After noting that Sweden has just 10 million people but is the 15th largest national investor in the U.S., she wrapped up with, "So those of you who have ... influence, I really hope you can bring this message forward, because Europe and the U.S., we are the best of friends ... and we should really work together to solve the world's problems also on trade." During a roundtable session, Samuelsson hammered the point with humorous and serious lines. "We build a factory to be part of a global trade system that is ... hopefully not destroyed by tariffs or something like that. Then you argue that would, of course, be bad for the whole economy, not just our business." Later, when discussing output at full capacity, he went for levity with, "[We] would then export more or less the same number of cars as we would import, so then the U.S. would then not have a trade deficit in the car sector — at least not the Volvo car sector." Asked about the German carmakers' offer to drop tariffs if President Donald Trump stopped threatening a 25 percent U.S. tariff, Samuelsson said he was in favor of dropping all tariffs in the U.S., Europe and China. "The ultimate goal here, if we're going to have open, free trade, that would be of course zero barriers," he said. "I think the real goal is that none of these three blocks need really protection; they need competition to develop their industries. That's why we should have open trade with zero duties." When asked if he'd give Trump credit for moving the discussion in that direction, Samuelsson was quick to respond, "No, I would like to give nobody credit. I think everybody has a responsibility to sit down and try to find a good agreement that is beneficial for all of us, for Volvo and for our consumers most importantly." The Polestar cars we loved from first test in 2014 are now Polestar Engineered Volvos. The latter will continue to challenge the Mercedes-AMG and BMW M lineups, but as "spice that we'll use very specifically" in the Volvo range, according to Polestar CEO Thomas Ingenlath. Polestar is now "an electric car brand ... producing premium performance vehicles" to challenge upper-tier electric lineups from carmakers such as Tesla and Porsche. Only Care by Volvo subscribers will be able to get into the 2019 S60 T8 with Polestar parts, and Ingenlath said he only expected Volvo to produce 200 in the first year. When we asked why people can't buy it, he answered that it "could be" a U.S.-specific plan, even though the U.S. only gets 20 units of the total. Then he said, "Go to the production guy and ask him. Of course they'd love not to have the biggest complexity in the beginning of ramp-up of [S60] production." So we asked Javier Varela, the senior vice president of manufacturing and logistics — the "production guy." While admitting that he didn't want to deal with complex distractions, he said the Polestar-ified S60 T8 was made on the same line as the S60, and "is not a big deal [to build], it's more about the parts. Instead of mounting the series [brakes] you will mount the Brembo [brakes]." 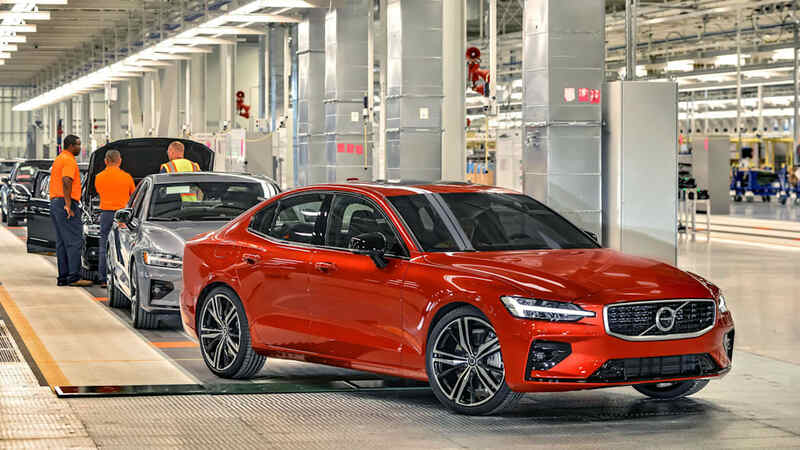 When we asked Kerssemakers, he said, "That is a marketing approach to build up interest for the customers ... so customers start [to] ask questions, and then we will find a home for [the S60 T8 Polestar], too." That seems a strange way to build customer interest. Yet Care by Volvo, instantly popular, is clearly delivering more customers. After teething troubles delivering XC40s, a hiccup Samuelsson put down to a "procedural ... insurance issue," cars are being delivered. Samuelsson said the XC40 demographic is 90 percent conquest buyers who average 10 years younger than Volvo's current demo. 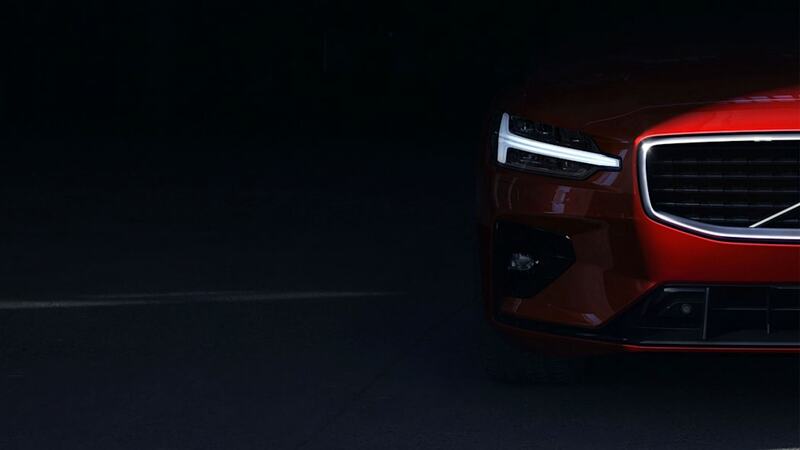 Perhaps the lucky owners — all 20 of them — will light the spark that sets the S60 T8 Polestar Engineered alight. On the pure electric side, Polestar's philosophy hasn't changed in the switch from ICE cars: The brand won't stress lurid outputs, instead concentrating on overall handling. "I think there's nothing bad about having great torque in the car," said Ingenlath, but "there's such a silly emphasis on the 0-100 figures, and that tenths of a second makes you better than anybody else ... I mean, as soon as you're beyond the 4-second in 0-100 [km/h], all that feels just flipping fast anyway and you're not able to detect the difference anymore." Polestars will also evolve the singular Swedish aesthetic that's helped propel Volvo's recent form. "Design will be a very important differentiator of our cars," he said, the interior quality and finesse being "something that we don't think is so present at the moment in the electric product offer." The brand's making a good start with the Polestar 1, garnering 550 deposits for a first-year run of 500 cars. Having announced a three-year run of 1,500 units, Ingenlath said production capacity at the Chengdu factory where all Polestars will be built could allow for up to 700 units per year, enabling a run of about 2,000 Polestar 1s. That would be the maximum, though. "The carbon-fiber build of this body is limiting the speed of what you can do. You know, the glue has to dry." The same way the SLS AMG was the first vehicle to showcase AMG's distinct identity, the Polestar 2 will be the first to wholly embody Polestar philosophy. "[The] design, the uniqueness of what you see in interior and exterior is Polestar unique and specific. These cars have been done from the very beginning for Polestar ... standalone and different to Volvos." Ingenlath said Polestar expects to profit on every vehicle it builds. But the first electric Volvo, the XC40, will appear after the Polestar 2 sometime next year, and Samuelson said Volvo expects to make money on them, too. "The very first electric car introduced at the end of '19 ... will be in that [$50,000] price bracket, and we are planning that [it] should be a profitable car." 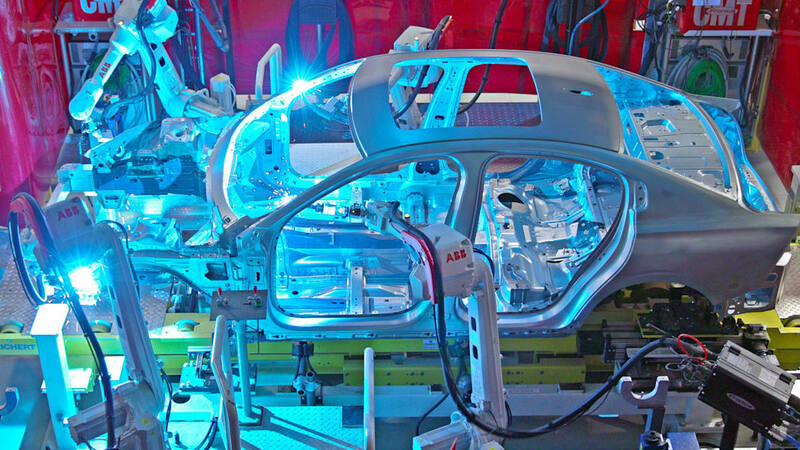 In three years, the next-generation XC90 on the SPA II platform will join the manufacturing line in Ridgeville. Volvo doubled its investment in the plant about a year into construction to prepare, so only a few changes to the site will be needed. 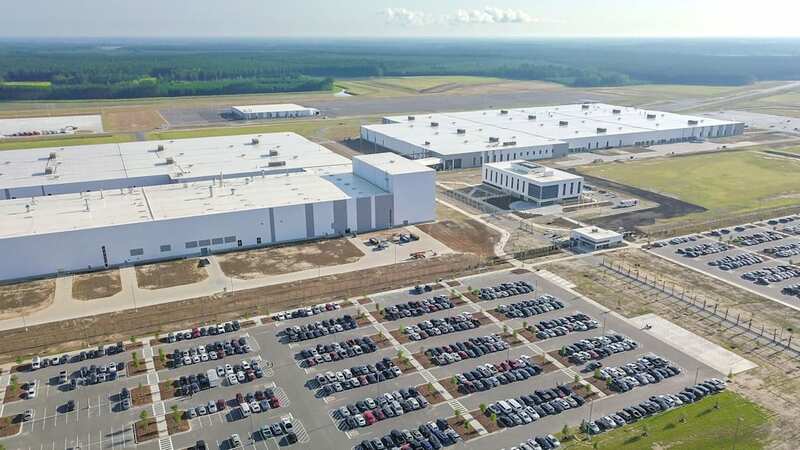 When the plant's running at full 150,000-unit capacity making 90,000 XC90s on top of the S60s, head count will double to around 4,000 employees, half working on export cars, half on local cars. That XC90 will introduce Volvo's technology leap into Level 4 autonomy. Samuelsson said the brand learned during self-driving experiments in Gothenburg, Sweden, that self-piloted modes need "to be clear to the driver if he is responsible or not. You cannot expect him to jump in when there is something which the engineers really have not covered." Hence, Pilot Assist will continue as a driver-assistance system, with the driver responsible for the vehicle. The coming Level 4 system will be a sort of Highway Assist that Volvo senior vice president Henrik Green said could carry "sleeping passengers." With Highway Assist, the car would handle emergency situations on its own. Volvo, alone among carmakers, has said it will take responsibility if its Level 4 autonomous vehicles fail during approved operation. With a global production footprint, a hot young lineup, ambitious targets, eager subscribers, a new all-electric brand and big, safe, autonomy plans, Volvo seems as if it could shed the safe-but-left-field tag. Years ago, with a different CEO and different aims, Volvo said it was "not yet truly premium," and that it needed to "to develop a new premium definition, to be a true alternative to the mainstream luxury brands." Kerssemakers said in 2016, "In the past, we may have overpromised in some segments." When we asked Kerssemakers at the factory if Volvo was now ready and going after the Germans, he smiled and said, "Of course. We're going after everyone."